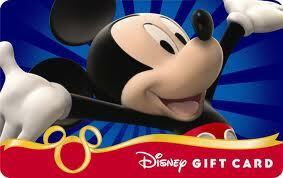 12 Hours left in our Disney Gift Card Contest! We’ve got just twelve hours left in our $100 Disney Gift Card contest! Remember, you can earn entries in the contest even if you entered to win on day one of the contest. Time is running out fast, and who knows where the winning entry will come from! To enter, just click on my contest post to enter, and good luck! I would like to thank my Blog Buddies one last time for joining in and making this a great contest! Good luck everyone! What would you do if you won a Disney Gift Card? Who wants to win Disney Gift Cards? Congratulations Disney Gift Card Winners Katy and Kimberly! Get ready for another Newsletter-only Contest! Next Post: Who Wants to win this Walt Disney Print?